This hoop gives me the sense of comfort and really makes me feel at home. 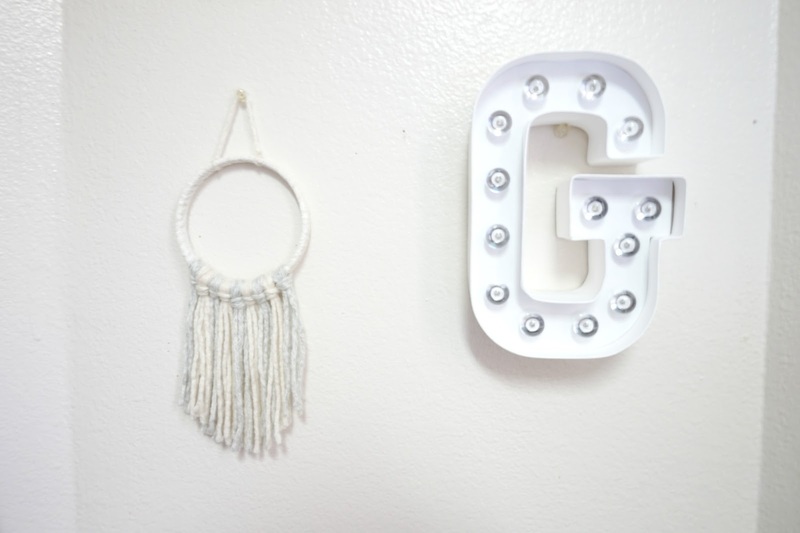 It makes such a great wall décor in a bedroom or office space. The yarn is so soft I literally can not stop running my fingers through it! 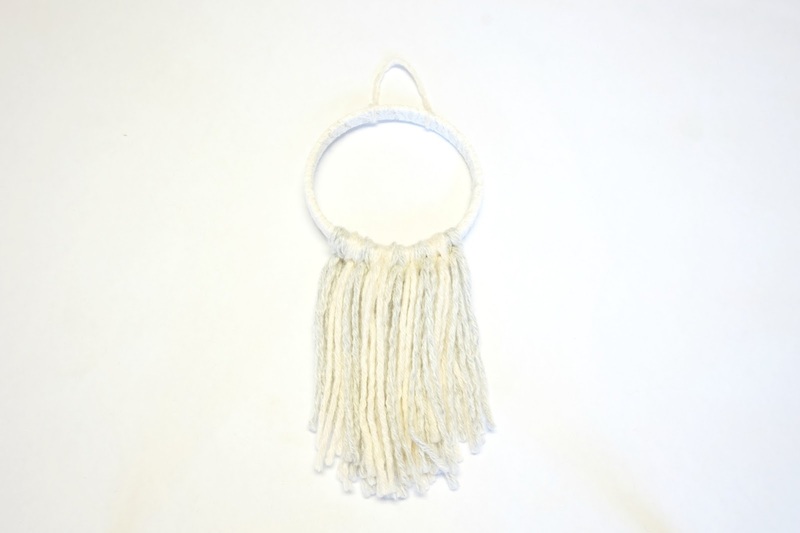 I’ve seen many versions of this DIY but the yarn always hung so low and I do not have the wall space for my hoop to do so. I am thinking about making another one with bright colors! 2. 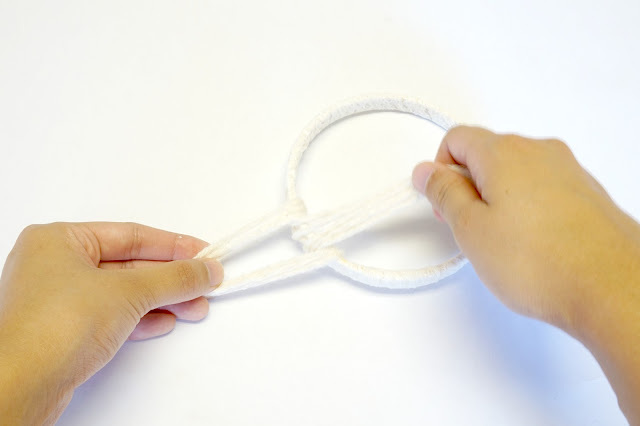 Take the lace ribbon and wrap it all around the embroidery hoop. 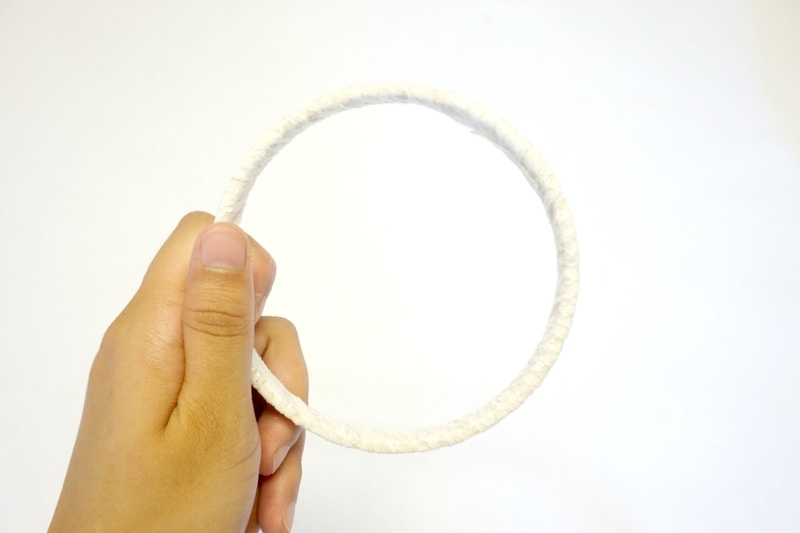 Glue down the ends to the hoop. 3. 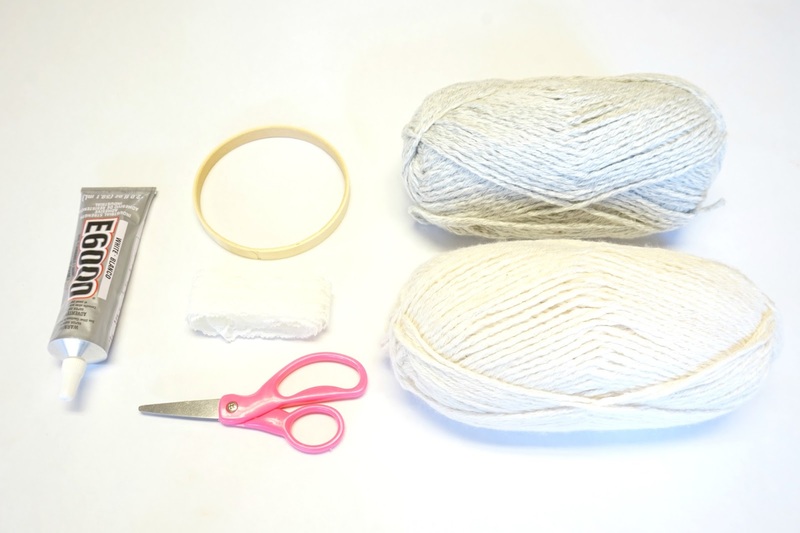 Cut strips of yarn. You can cut 3 pieces per color as I did or you can do more/less! 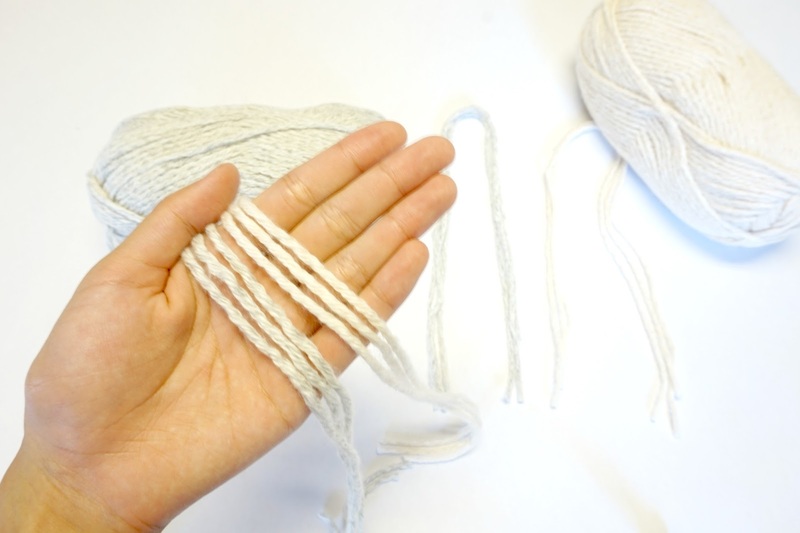 If you have a thicker yarn you might not need to cut as many pieces. 4. 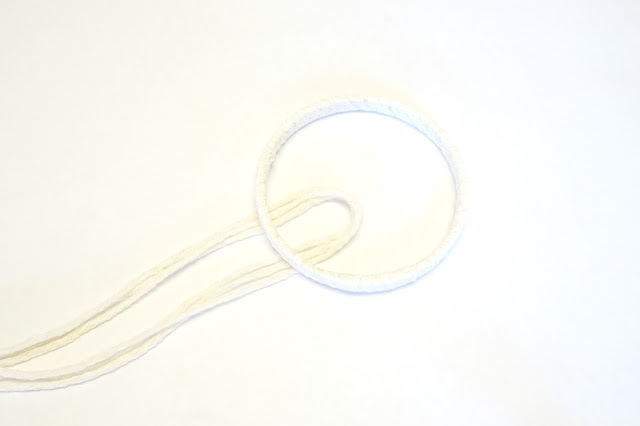 Tie the cut pieces of yarn onto the laced embroidery hoop. Make sure to give it a nice tug so it holds in place. 5. You will notice the ends become uneven. 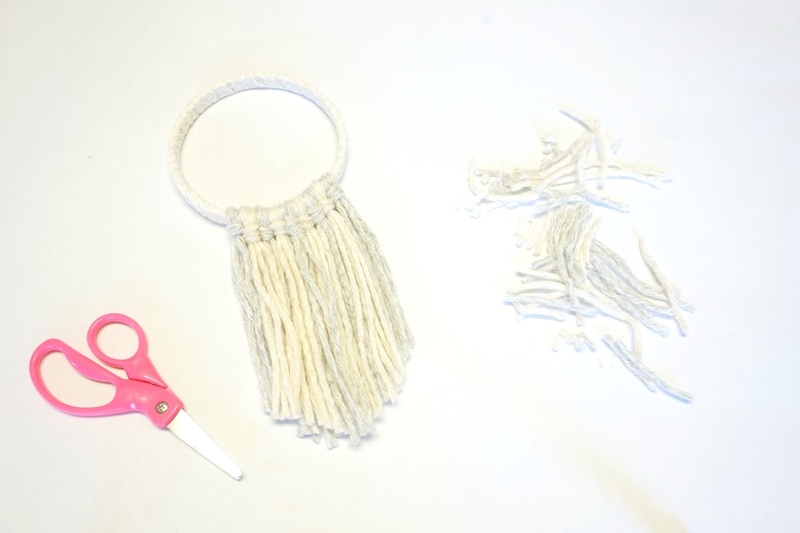 Take a pair of scissors and trim off the bottom to give it a cleaner look. 6. 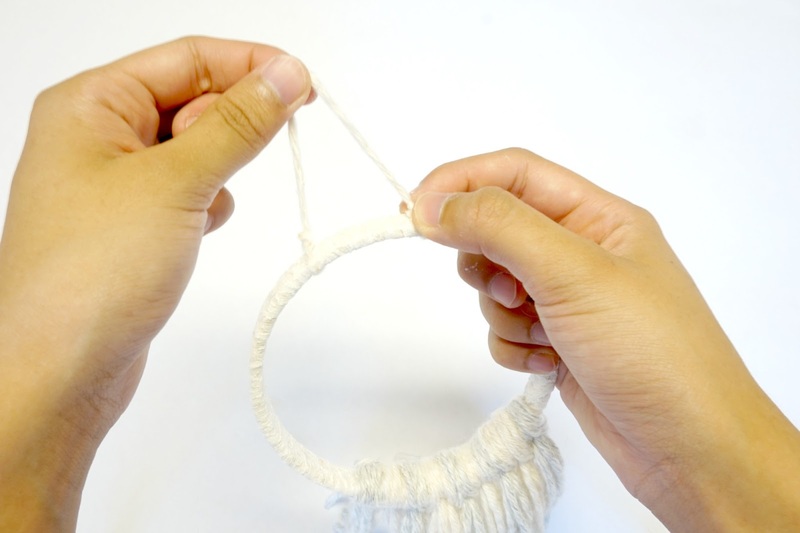 Cut off a small piece of yarn and knot both ends to the top of the hoop to create a hanger.